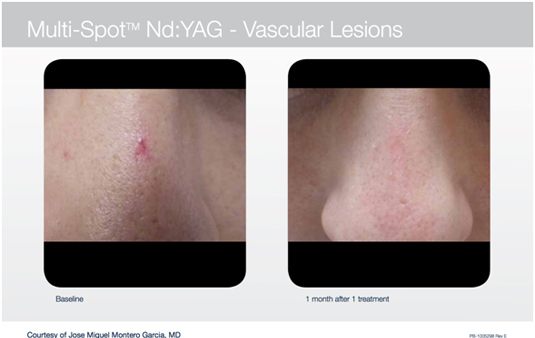 The ND YAG 1064nm laser is particularly effective for capillaries on the face. 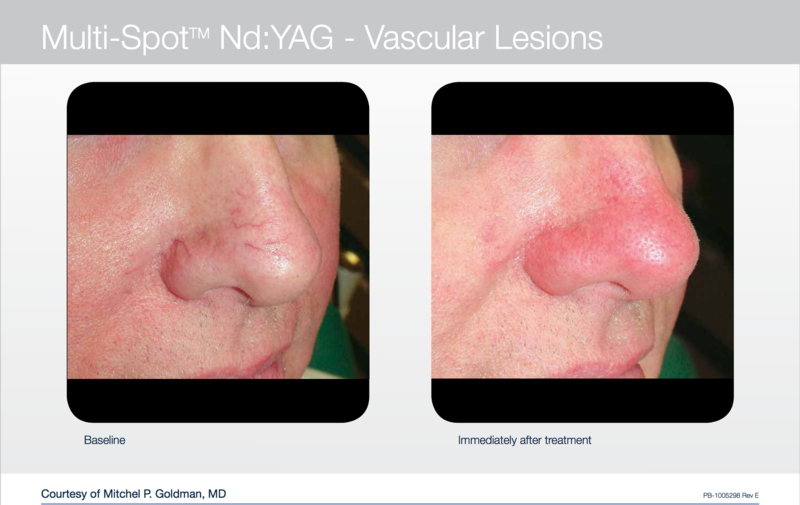 This laser targets blood in the vessels causing coagulation and immediate vessel closure. It is commonly used to treat vessels associated with sun damage and rosacea . It can also be used for other lesions containing blood vessels. The treatment is quick and the results are usually immediate. This treatment is commonly used in combination with Intense pulse light.